We are a prominent Manufacturer and Supplier of Signal Isolator from India. Our range of Signal Isolators is designed using superlative grade raw material that is in accordance with the industry quality norms and guidelines. 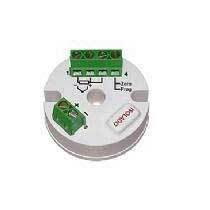 Besides, the clients can avail Signal Isolator in different specifications. Dimensions : TxIsoBlock: 44 mm (Diam.) x 25 mm (H including bornes). Screw fix.